How do I decide upon a suitable holiday? To choose a holiday suitable for you and your crew there are a few things to think about, deciding where you would like to go, deciding on the number of berths and boats you require, deciding upon the month in which you would like to take your holiday as each route can take a different character at different times of the year, deciding whether you want to take a weekend (3 nights), midweek (4 nights) or 1 week or more (search here...), decide whether you would like to book online or by telephone (+44) (0)1606 833668. 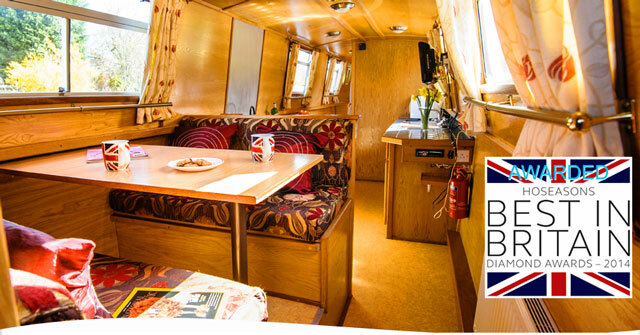 What happens when I book my narrowboat? Once you have booked your boat, firsty be excited! your are going to have a great time. However, please keep in touch about planning, questions and your requirements. The more we know about your requirements the easier it will be for everyone! 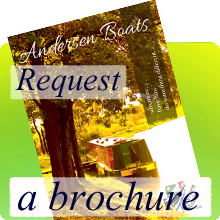 Please ask questions, use email info@andersenboats.com, the Contact form, or telephone. When you book a holiday with us you will be given a booking reference number, this number can be used to access details (party and payment) about your booking with our booking agent Hoseasons via this link View my booking. When you book a holiday which is more than 10 weeks away from the date of booking you will be given the option to pay a deposit or the full balance. If paying a deposit you must ensure that the full balance is cleared at least 10 weeks prior to your holiday date. If booking a holiday which is 10 weeks or leass away you must pay the full balance. However, we recognise the need to have some flexibility on methods of payment so please call us to discuss any requests. When you book a holiday with us you are agreeing to our booking terms and conditions. What can I do if I want more time to plan my holiday and I do not want to lose my perfect boat? It may be difficult to arrange holidays with friends and family and therefore we may be able to hold your chosen holiday while you confirm your arrangements. 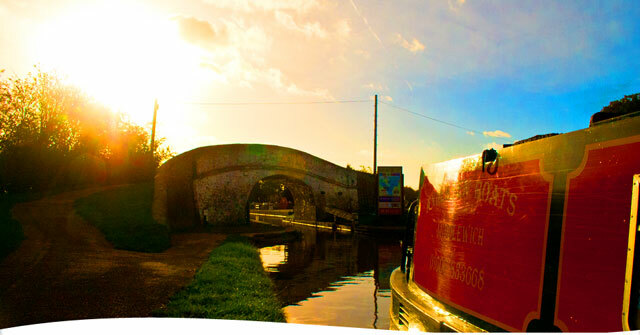 We have 16 narrowboats in 12 different classes. Each of our classes of boat has the word Fjord in the name, this comes from our Norwegian heritage. Our fleet of boats fall into 2 categories, these being cruiser stern and semi-traditional stern. There are a range of lengths and layouts to offer choice for different holiday makers. Canal boating on the canals of England and Wales can only be described as a perfectly different holiday. Boating appeals to all ages, with everyone able to join in, enjoying a unique holiday in their own way... but remember it's an adventure, you will all discover new things every day. In essence you take your hotel with you as you travel, deciding from day to day what you want to do. 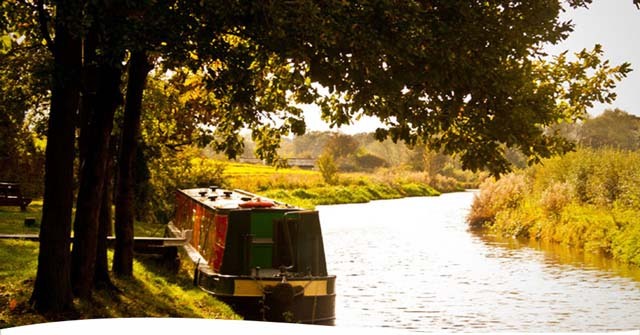 You can get away from it all on the tranquil rural canals with their waterside pubs, or explore the normally hidden places through major towns and cities with a wealth of things to do and see which are only accessible by the water. How do I work a boat, bridges and locks? "Not having been on a canal boat trip before I was a little worried about 1 week on a boat with 4 kids but I needn't have worried. On arriving at the boat yard we were shown our 69ft boat and given instruction on driving and working the locks.... The feedback from the kids (age 10, 12 and 15) was excellent and they thoroughly enjoyed getting involved when needed and chilling out at the same time. Thanks Andersen Boats for a great experience." 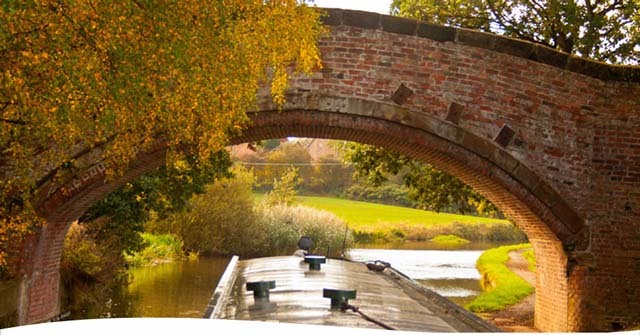 We are ideally located for a choice of picturesque, relaxing and exciting canal adventures (including the Llangollen Canal, the Marple aqueduct and the Anderton Lift). 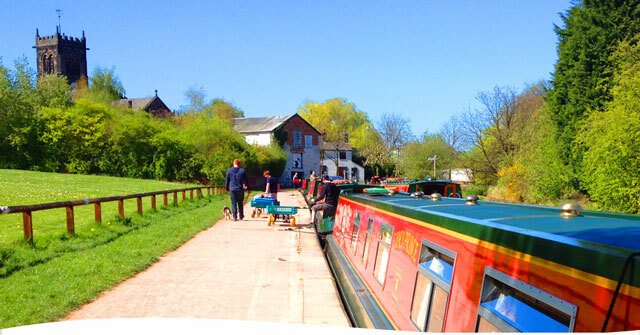 Secondly, we are a great choice for first time boaters as we are located in Middlewich right next to a set of 3 locks so our hirers not only get full hands on tuition to the operation of their boat but also hands on experience in boat handling, lock operation and waterways safety. But.. once you have set off on your holiday, each boat has a detailed boat manual on board and there is 24 hour telephone support available. If this is your first time on a canal boat holiday, it's ok if the prospect of a holiday on the water is exciting though also a little daunting :-) especially when it comes to being in charge of your own boat and operating the locks! Please don't be afraid to ask as many questions as you would like to, at any point before and after booking your holiday. We want to ensure you feel confident throughout your whole holiday journey from looking, booking and going. Because you will be excited, and it's good to be prepared before you go :-), take time to go through our online guide and also download the Boaters Handbook. Do I need a boating licence? No driving licence is required for a hire boat on the inland waterways. All of our boats will however be licenced to use the waterways, this is already included in your holiday cost. Can I fish from a canal boat? Canals are a great for those wanting to fish... roach, perch, bream, carp and tench are a few that can be caught. After a days cruising why not enjoy an evenings fishing. However we have a strict rule that no live bait of any kind (including maggots) is allowed onboard. Please note a national rod licence is required by anyone aged 12 years and over. Your holiday hire cost will include the hire of your chosen boat for the holiday period (this being from between 13:00 & 14:00 on the day of departure and 09:00 & 09:30 on the morning of your return), together with bed linen, a full inventory of equipment for self-catering, gas (for cooking, hot water and heating) and ALL fuel. There are no extra person charges so you can add additional peope as long as you do not exceed the maximum number of berths for your chosen boat. We also provide free car parking for the duration of your holiday, via our large secure onsite carpark. Well behaved pets are welcome on all of our boats. 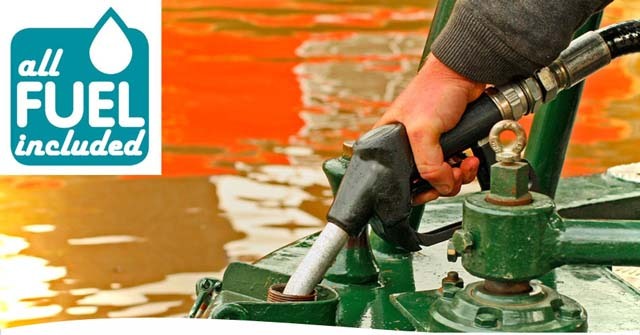 Your boat will be well equipped with all items necessary for cooking (utensils, crockery etc. ), all bedding, Radio, CD, TV & DVD. In addition, 2 sets of wet weather overalls are provided for the helmsman and a crew mate (although hopefully these are not used much!). Buoyancy aids (life jackets) are always available on request, and must be worn by anyone under the age of 16. Additional specific items you may want to bring include towels (however we provide towels for overseas visitors), tea-towels, a torch, camera, binoculars, a good waterways guide, food supplies (we have 3 large supermarkets located 5 minutes away from our base in Middlewich) and non-slip soft deck shoes. Also be hopeful :-)... the sun's rays are much more powerful when you are on the water, so sunglasses, protective cream and a sun hat are recommended to avoid burning. Where can we stop overnight? 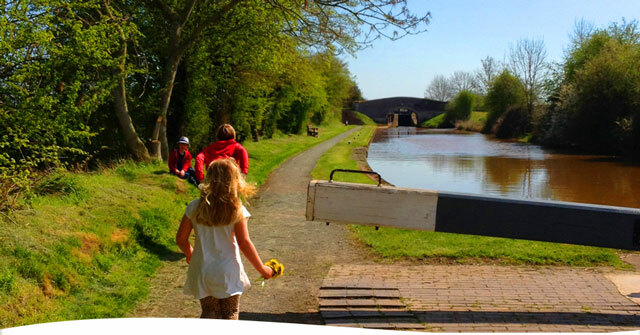 On the UK canals, you can stop overnight anywhere along the towpath side without charge. 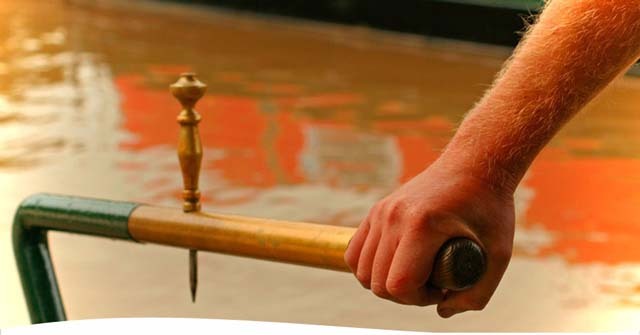 You must however avoid mooring overnight within 50 metres of a lock or other navigation landmark to allow other boats to pass without restriction. Call us on (+44) (0)1606 833668 for any advice or questions about boating holidays with us.